Victoria Grizzlies forward Alex Newhook showed why he is projected for the first round of the 2019 NHL draft by being named B.C. Hockey League player of the week. 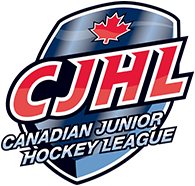 The native of St. John’s, N.L., again weaved his ice magic on Sunday at The Q Centre by scoring a hat trick on a five-point afternoon in a 6-2 victory over the Powell River Kings. Newhook finished with four goals and three assists for seven points in three games on the week to snag the weekly player honour. The fleet-footed and crafty stickhandling centre extended his lead atop the BCHL scoring table with 81 points, eight points clear of second-place Ryan Brushett of the Kings, a 20-year-old who has played three more games than Newhook. Brushett, headed next season to NCAA Div. 1 Nebraska-Omaha, leads the league with 35 goals while Newhook’s 29 are fourth most in the league. Newhook is committed to Boston College for next season and visited the school on Monday to watch the Beanpot Tournament at TD Garden. Cited as an honourable mention for the BCHL weekly player honour was Grizzlies forward Alex Campbell, ranked with a bullet for the second round of the 2019 NHL draft, who had three goals and two assists for five points in three games. Two of Campbell’s goals were game-winners and the Montreal area native was named first star once and second star once in the trifecta of outings as the Grizzlies defeated the Alberni Valley Bulldogs 5-2 before losing to Powell River 4-3 in a shootout and rebounding for the 6-2 victory over the Kings. The latter will be key down the stretch as the Grizzlies (31-16-3) pulled two points ahead of the Kings (31-19-1) atop the Island Division with a game in hand. Victoria has 10 games remaining in the regular season and Powell River nine. 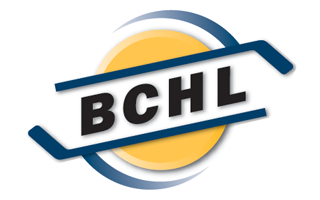 The Grizzlies host the Cowichan Valley Capitals on Thursday, Wenatchee Wild on Saturday and Merritt Centennials on Sunday.